Mister Triple X: First to present was Mister Triple X whose line was dominated by bold street-wear with ornate metallic patterns. As was true for most of the night, the line was worn by many celebrity models including Top Model JimmyQ. 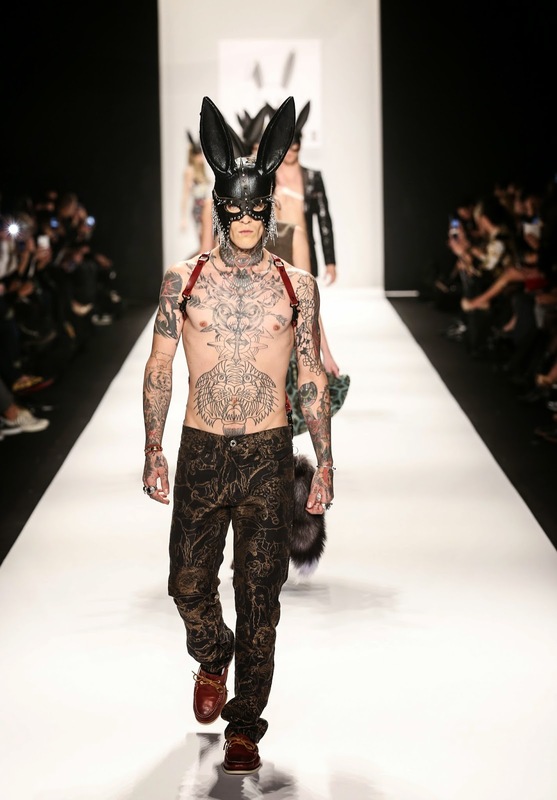 During the final walk, models drew cheers from the crowd as they all donned Triple X’s iconic black-leather bunny masks. Walter Mendez: A collection of elegant gowns featuring swirling cut-out patterns and a variety of luxurious materials. The color palette began with pure white, transitioning to soft greys, and then ended with dark blues and bold velvety greens. House of LiJon: There were many high points throughout the 90-minute show, but my favorite was House of LiJon’s line of couture wearable armor. Sleek and well-fitted, made with thousands of small chains, the outfits were inventive, stylish and sensual. House of Byfield: This Dutch designer showed contemporary sheer dresses for women and dapper multi-material suits and bags for men. Hallie Sara: A collection of classic feminine silhouettes with a distinctly vintage feel, featuring full skirts and beautiful fur coats, capes, and muffs. 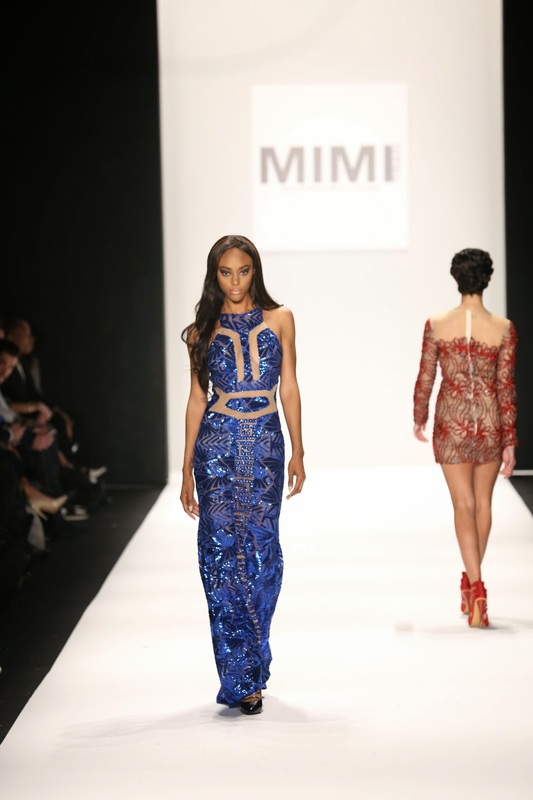 Mimi Tran: A collection of glamorous, body-hugging cocktail dresses and gowns featuring daring cut-outs and plenty of sparkle. MT Costello: The most memorable moments, however, happened near the show’s end. While MT Costello featured mostly women’s looks, their sole male model walked the runway with only a golden fur cape draped over his shoulders and nothing more than his hand to cover his bejeweled manhood. The show’s final surprise was even stranger: another of Costello’s models wore a large prosthetic human mask, which was pulled off to reveal reptilian face makeup. Seven unique Japanese designers gathered together for a fashion scene well worth the last day of New York Fashion Week. These collections gave the audience a peek into the Tokyo fashion market, one of the few that rivals New York. 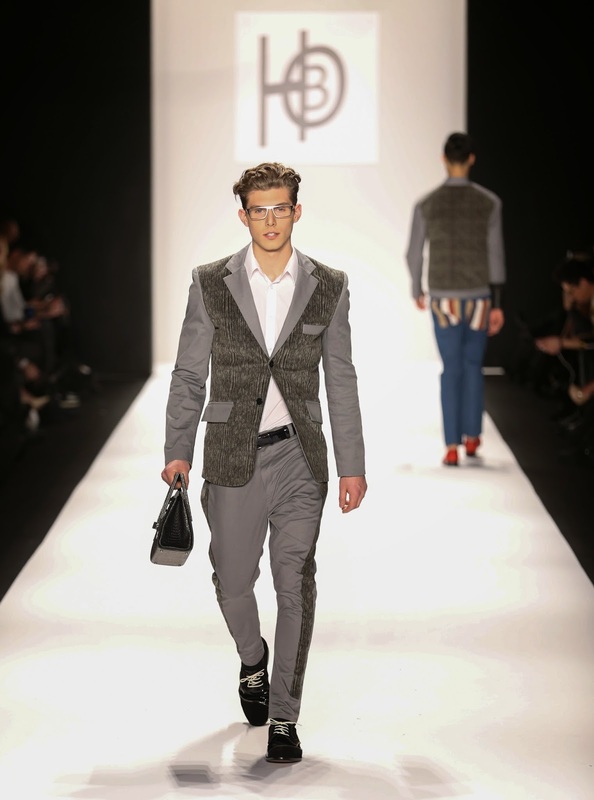 The runway promoted Tokyo’s creative taste for fashion while highlighting how the two cities' fashion worlds intersect. From the elegant dresses to the faux fur jackets, the show did not disappoint. Also, I loved the hair inspired by street punk styles with sharp bangs and bobs. Sticky Notes We Adore: Butterflies!